09 Baby Did You Change Your Mind? Three or four guys and a gal in a hitmaking vocal group was nothing new by 1962, thanks to The Platters and Sensations. Three girls and a guy? That was different. 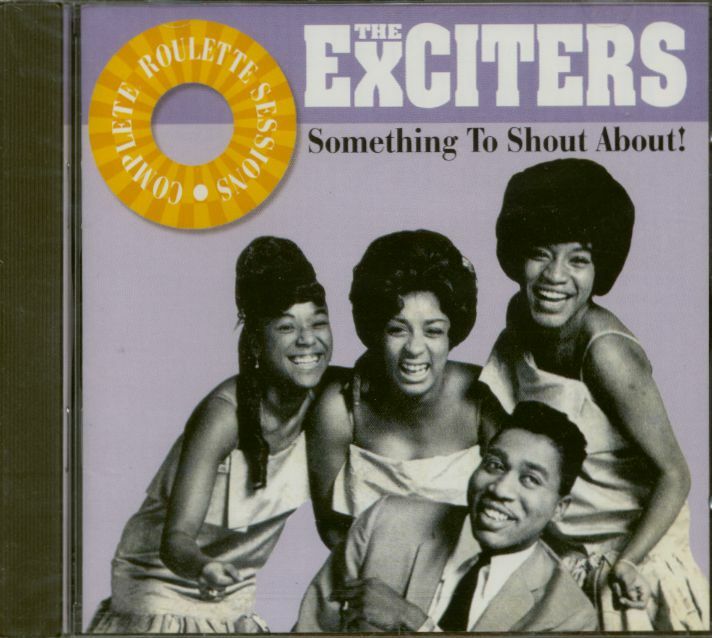 The Exciters started out all-female, but that changed just before they hit. The group began in the Jamaica section of New York's Queens borough as The Masterettes, sister group to The Masters. Lead singer Brenda Reid, soprano Lillian Walker, alto Carol Johnson, and Sylvia Wilbur made a '61 single for LeSage, Follow The Leader, that got them on a show at the Hillside Theater in Queens. Rennie Roker saw them there and became their manager along with his brother Wally (formerly one of The Heartbeats) and tenor saxman Big Al Sears. Sylvia opted out, replaced by Penny Carter. They snared an audition with Jerry Leiber and Mike Stoller, by then affiliated with United Artists. The Masters' Herb Rooney helped the girls arrange their background vocals and came to the audition as their pianist. 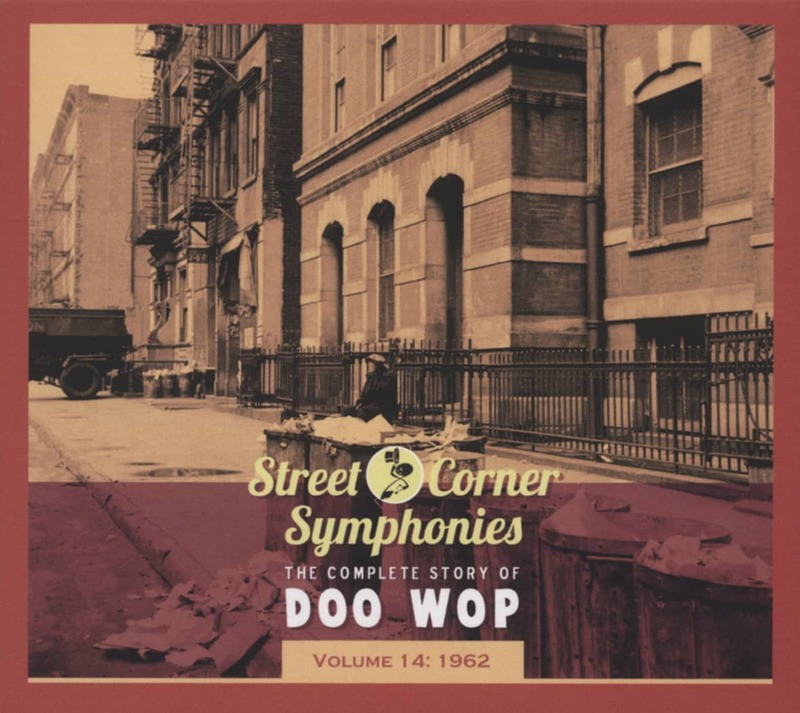 Leiber and Stoller loved the group, changing their name to The Exciters and handing them an uptown soul ditty already out on Vee-Jay by Gil Hamilton (aka Johnny Thunder), Tell Her (Bert Berns wrote it under his Bert Russell pseudonym; a lyrical gender switch was clearly in order). Penny dropped out before their debut session; tenor Herb was a perfect replacement. The newly reconfigured Exciters cut Tell Him in October of '62 at Bell Sound with Teacho Wiltshire arranging and Leiber and Stoller in the booth. Brenda Reid's electrifying lead vocal, the jaunty beat, and darting strings were exhilarating; issued near month's end on UA, Tell Him became a #4 pop/#5 R&B smash. Van McCoy penned the flip, Hard Way To Go, which became a popular part of the group's live act. It's said that Dusty Springfield was convinced to go solo upon hearing the exhilarating Tell Him. 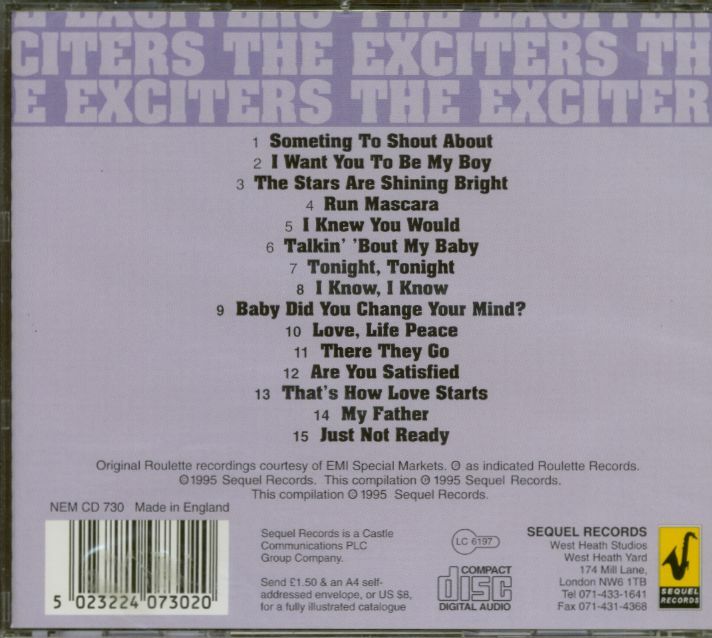 Despite suffering from the flu, Reid placed a blistering lead on The Exciters' bombastic He's Got The Power, penned by Ellie Greenwich and Tony Powers. Cut in January of '63, it made a #57 pop showing that March. Berns was in on the composition of Get Him, the quartet's next UA outing (it creased the lower end of the pop charts). Jeff Barry and Greenwich's irresistible Do-Wah-Diddy did a little pop business for The Exciters in early '64, but it was gargantuan for British Invasion band Manfred Mann later in the year, pacing the pop hit parade. The Exciters gravitated to Roulette, gender-switching Frankie Lymon and The Teenagers' '56 hit I Want You To Be My Girl and having a minor chart entry in January of 1965. Another move to Berns' Bang logo gave them another hit with a revival of The Jarmels' '61 hit A Little Bit Of Soap in early 1966. They found their way to RCA for a last trip to the R&B charts with You Don't Know What You're Missing (Till It's Gone) in 1969. Along the way, Herb and Brenda wed (he had the power). Rooney died in the early '90s; Johnson passed May 7, 2007. Kundenbewertungen für "Something to Shout About (CD)"